This 1,000-piece puzzle features the Guardian Fireteam, "your finest weapons" in combat, from the popular Destiny video game. 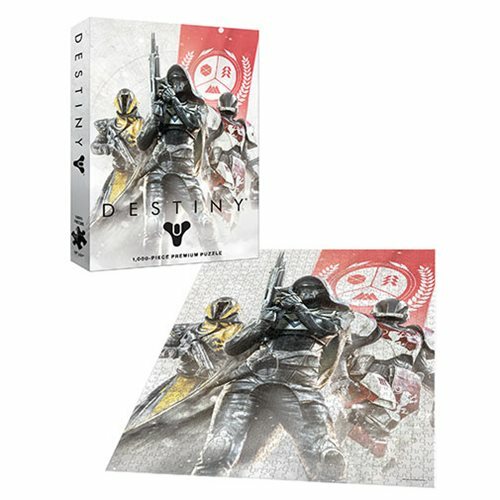 The Destiny Guardian Fireteam 1,000-Piece Puzzle makes a great gift for gamers. Measures about 27-inches tall x 19-inches wide when assembled. Ages 12 and up.